Unique Lion Preserve umbrella stand in solid brass with lacquered antique finish to resist tarnishing. 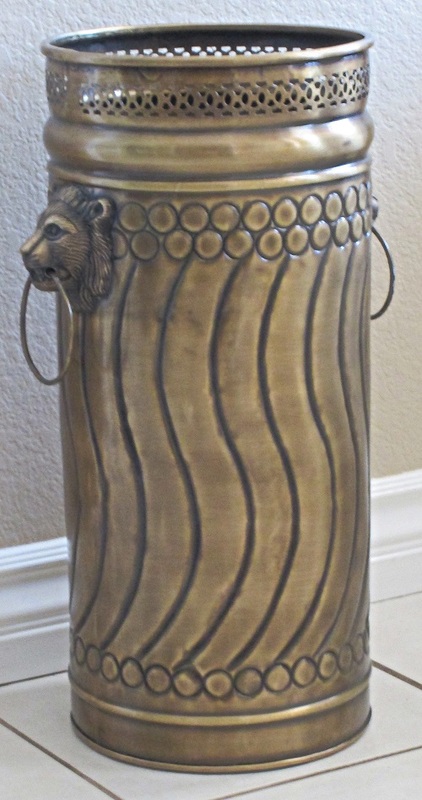 Solid cast brass lion head handles and filigree top quarter add to the elegance of this piece. Height 20," Diameter 9." Limited quantity.